One of the benefits that many consumers are seeking today is the reduction of greenhouse gas emissions that high-efficiency gas furnaces offer. The Trane Two-Stage XL90 furnace offers 92% AFUE which will dramatically reduce emissions over many furnaces it may replace. In addition, its energy-miser ways mean lower fuel costs. This mid-level furnace from Trane is very affordable and offers excellent performance so it is easy to see why it’s a best seller. This Trane Two-Stage XL90 gas furnace price comes from Sylvia in Everett, Washington. 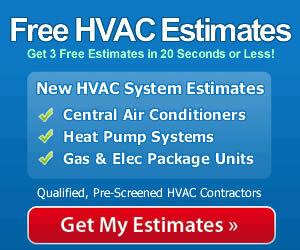 We are happy to pass along HVAC prices like this to give readers an idea of general prices. 92% fuel efficiency for reduced carbon emissions and fuel consumption. 2-stage burner which is efficient, quiet and comfortable. Electronic controls with self-diagnostics and fault codes. Sealed combustion uses only outside air. Washable filter enhances air purification. Insulated cabinet is sturdy and quiet. Upflow/horizontal and downflow/horizontal models sized at approx: 56K, 73K, 93K, and 112K Btu’s. Heat exchanger lifetime limited warranty. 10-year warranty on parts. Unfortunately, many furnaces that should be 90% efficient or more are not achieving anywhere close to that number because of improper installation. Studies show that many of them are functioning at 70% to 80%, wasting resources and money, and working harder to heat homes – producing more emissions. Find an experienced and qualified contractor when you are looking for gas furnace prices. It’s the best way to ensure that you are getting what you expect when you make this kind of investment in your home – and in the environment!